Under the supervision of Prof. Nasr Abbas and Ms. Ghaida Rawashdeh, Head, General Education Department, students voted for the new Student Council Members for AY 2017-2018 during the recently concluded Student Council Election. Students from different colleges expressed their candidacy and were voted by the student body. Prof. Abbas counted the ballots and ranked the candidates. 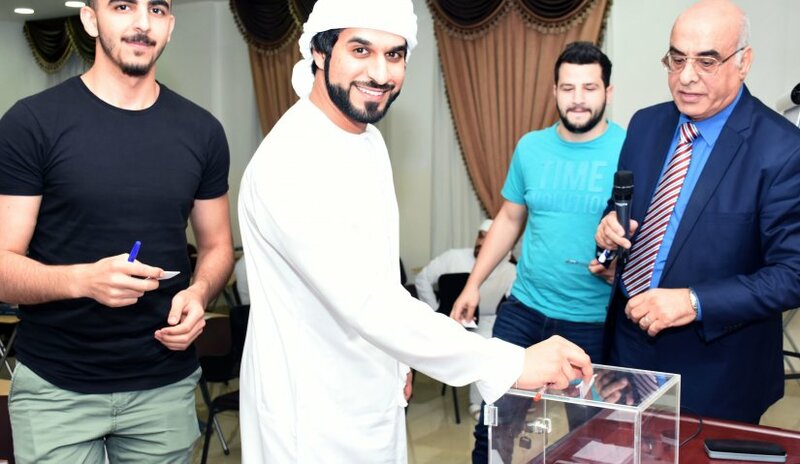 The winners are in accordance with the highest number of votes received are Ms. Amna Abdullah Al-Samati from College of Business Administration, Mr. Ali Ahmed Mohammed from College of Law and Mr. Ibrahim Khalifa from College of Mass Communication. A meeting will be held to determine who will take the post of Council President, Vice-President and rest of the council members.